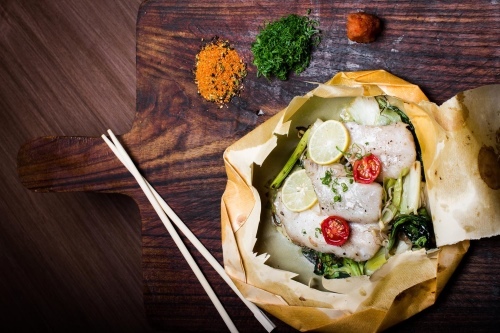 The pop-up Guppy by ai at Olive Mahalaxmi, Mumbai has a new refreshing menu for the summers. 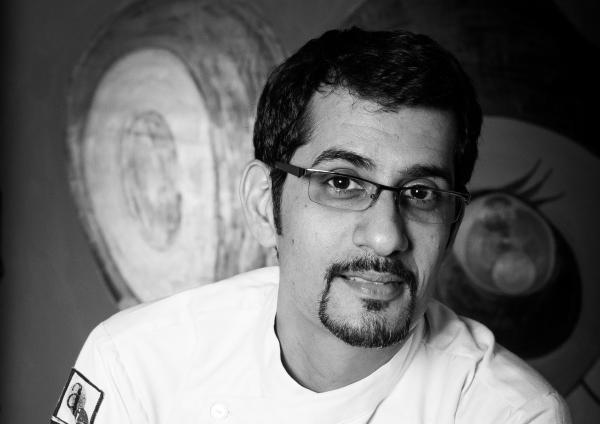 LifeSpice’s Anu Gulmohar chit chats with Executive Chef Vikram Khatri on Guppy, Japanese food and more. 1. Where did you learn to cook Japanese food? In 2000 I was lucky to join a Japanese hotel, the Metropolitan Hotel Nikko. We worked there with three Japanese chefs. After nearly 8 years with Nikko I took a sabbatical and went to Sydney for a while to experience contemporary food. Sydney is, after London, the Mecca for gourmet food. I came back and joined ai at Saket District Centre in New Delhi. 2. Tell me about the new menu at the Guppy by ai Pop-Up at Olive Mahalaxmi. Right now it’s the Spring festival in Japan. It’s a festive season there, for it follows the harsh winters. It’s also the blossoming time of Sakura flower. Fresh seaweed starts pouring in now. The fish, pumpkin, Sakura flowers and Sakura wood chips come in at this time. We’ve created the menu inspired by this time of the year. 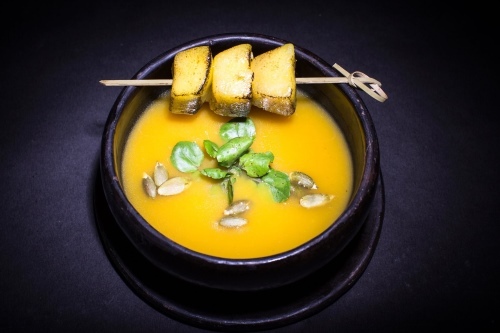 This is the best time in Japan for pumpkin, so we decided to do the pumpkin soup and roast it with Sakura wood chips. Similarly we are doing Kampachi Sashimi and yellowtail that are roasted in-house. Then there are a couple of authentic sushi rolls. Our rolls are contemporary with a touch of Japanese spice. The best one of all is the futomaki sushi roll, and you have to eat it in one bite, that’s what sushi is all about. Hoiru-yaki is a traditional Japanese style of cooking using aluminium foil. We decided to use parchment paper, like the En papillote (French for “in parchment”) method, since the process is similar. The fish is cooked in its own juices and presented with some vegetables. It doesn’t have much of cream or cheese or butter and that’s how you want your fish to be during summer. We’re using market fish. The idea is to source fish available locally during this season. So, it will keep changing as per the catch, whatever the fishmonger gets for me. Then you have Japanese risotto. Its preparation is similar to risotto but with no fat or cream or cheese. Takikomi rice is cooked in a nice broth, with some seasonal vegetables and a lot of mushrooms, on slow fire. Then there are also a lot of cold noodle options. 3. Are the ingredients locally sourced? Most of them are locally sourced. I’m in talks with a Japanese company, which is growing vegetables in Mysore and they are making a lot of things available in India. But at the moment Sakura flowers, Sakura wood chips, yellowtail amberjack, seaweed and ramen are being sourced from Japan. For the sauce and toppings we use locally found vegetables. 4. Will you be changing the menu every season? Yes, we will. The last menu change was in October-November, which was at the entry of Winters. This was also when we launched this pop-up in Mumbai. Now is the Summer menu. Gradually, we’ll be celebrating the Monsoons as well. 5. 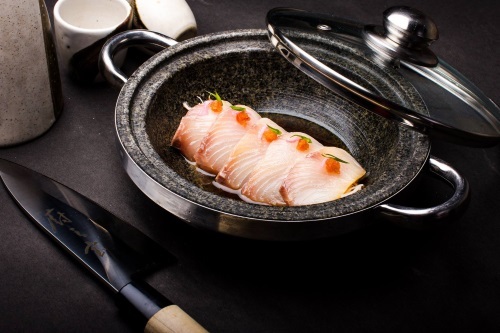 Japanese restaurants have been topping the Michelin Guide since last eight years. Why do you think Japanese restaurants are such a hit with gourmands? Yes, the maximum Michelin-starred restaurants in the world are in Japan. I think once you start accepting their food it’s really healthy. They don’t use cheese and milk in their food like rest of the cuisines. It is not very strong on your palate. You can hop from one course to another and you’ll still feel refreshed. You won’t feel bloated after having one or two courses. The cuisine also uses a wide range of ingredients. Japanese don’t use cheese and milk in their food. You won’t feel bloated after having one or two courses. Most of the time it’s assumed that Japanese food is all about Tempura and Sushi. But it is actually a never ending saga. There are so many elements to it. There are a lot of vegetarian options, as Japan is the land of Buddha. In today’s time you still have Shojin ryori i.e. temple cuisine, which follows pure vegan food. Most of them don’t even use butter and ghee. Half of my menu is always vegetarian. In India, if you go to any restaurant, in the Japanese section of the buffet there will be a couple of sushi rolls. So people have an impression that Japanese food is all about sushi and raw fish. But once you actually start exploring the cuisine you’ll realise that there’s so much more. I went on to enjoy several items from the new Summer menu at Guppy. The mix of cold and hot items was fun and refreshing on the hot summer day. As Chef Khatri had mentioned, the food was really very light and even after trying a variety of dishes I didn’t feel stuffed and weighed down. If you haven’t tried Japanese cuisine as yet, it’s time to give Guppy a go. You can locate the pop-up at Olive Bar & Kitchen, Mahalaxmi Race Course, Amateur Riders Club, Mumbai. For reservations call 91-22-4055 9595/96. Tagged Culture, Food & Drinks, Interivews, LifeSpice, The Good Life. Bookmark the permalink.